Could you have a look and see why my fonts are not working in Firefox please? I was searching online and found this documentation from google https://developers.google.com/fonts/docs/technical_considerations. Downloading the form source might fix this by including the Web Font Loader that was developed by google https://developers.google.com/fonts/docs/webfont_loader#Example. Am i to believe that jotform users can only expect that fonts will be displayed in chrome? I think the reason why it is not working in firefox because of the new restriction they implemented which is 'Same Domain' restriction that the font must be hosted at the same domain as the web page. 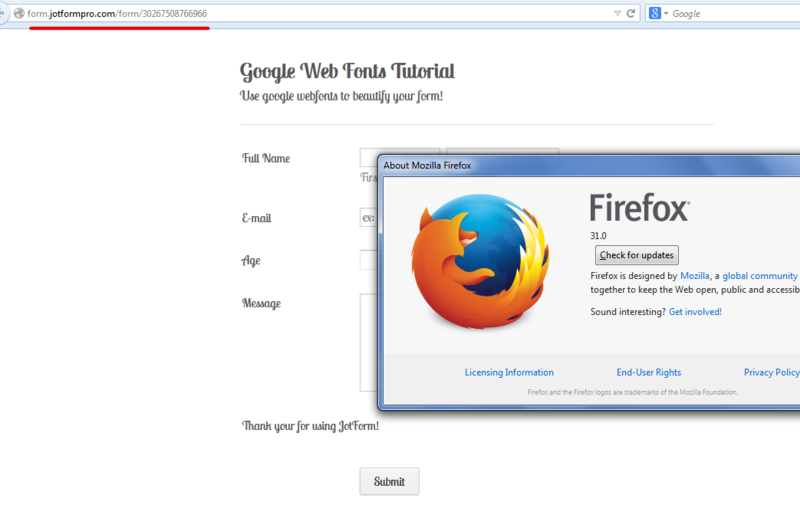 If you download your form source and upload your font in your own web server then this might pass firefox restriction. You can read more about the Same-origin policy of firefox here https://developer.mozilla.org/en-US/docs/Web/Security/Same-origin_policy. 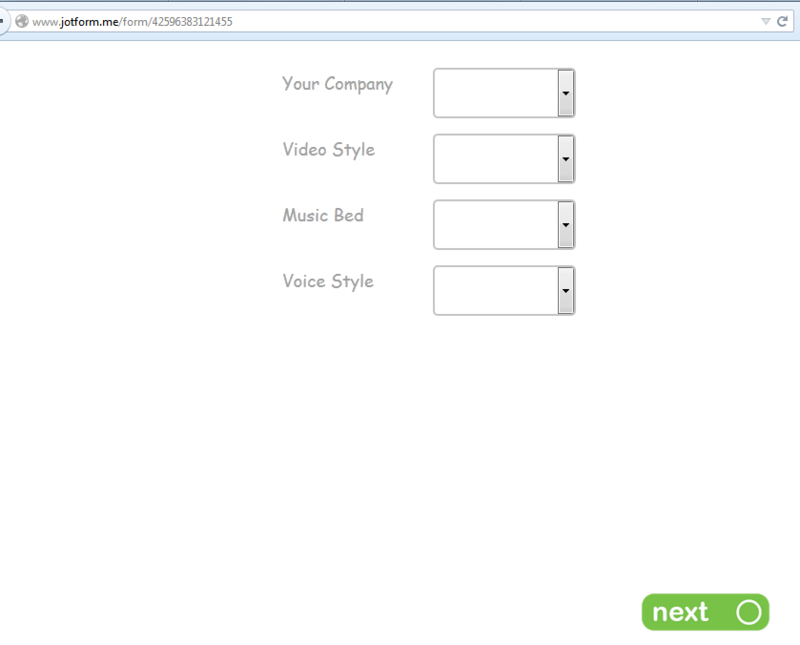 Here is my demo jotform http://form.jotform.me/form/42596383121455? using a clone of your jotform. It also works on FF. Please try again by following the user guide. Inform us if still not working.